On Saturday, a woman was lynched to death in Odisha's Mayurbhanj district. According to reports, she was mentally challenged and the locals suspected her of being a child-lifter and tied her up in chains on Friday. The next morning the villagers removed her chains and assaulted her with stones and sticks. Though she managed to escape, she died before she could reach a hospital. There is now a demand for a national law against mob lynching. Activists Shehla Rashid, Tehseen Poonawalla, Jignesh Mevani and Kanhaiya Kumar have set up a committee to work on the draft legislation and they addressed a press conference in Delhi on Monday on this issue. Others who attended the event included veteran journalist Kuldeep Nayyar, actor Swara Bhasker, activist Anil Chamadia and Delhi University professor Apoorvanand. They intend to get the Bill presented in Parliament by reaching out to various political parties. Their aim is to present the draft on 11 July, the anniversary of the shameful flogging of Dalits at Una, Gujarat. The drafting committee would include Chamadia, Bhasker, Apoorvanand, Senior Advocates Sanjay Hegde and Rebecca John, RJD leader Manoj Jha, student activist Sadar Musharraf, Sanam Wazir, Campaigner at Amnesty International India, JNU professor Nivedita Menon and feminist author V Geetha. Poonawalla has threatened that if the legislation isn't passed, he will ask farmers to set loose their cattle outside the Prime Minister's residence. Dear PM ji if u dont Stop Mob Lynching by introducing the a law against it..will ask farmers to leave their cattle at 7 Lok Kalyan Marg . Dalit activist from Gujarat, Jignesh Mevani said that existing laws are not sufficient in dealing with the menace. “Like atrociites against SC/STs required a special law, mob lynching is a crime that needs to be dealt with separately. Existing provisions aren't enough,” he said. According to Bhasker, “Mob violence cannot exist in any civilised society. In fact it shows society at its lowest". 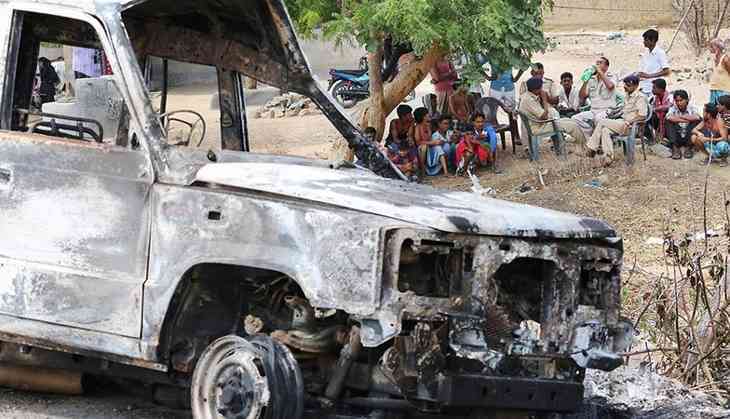 A comprehensive legislation against mob violence, the activists feel, would help prevent incidents like the Dadri lynching, the Jharkhand lynching and the flogging of Dalits in Una. It will also bring to book officials under whose watch such acts took place, the most recent example of this being a police constable who encouraged a mob to thrash Sikhs in Alwar, Rajasthan. Will arch-rivals unite to return Mayawati to the Rajya Sabha? READ NEXT >> Will arch-rivals unite to return Mayawati to the Rajya Sabha?